Six Fast-Growing Careers Taking Over the U.S. Despite the delicate economy, these jobs are projected to experience significant growth until at least 2020. Whether you are fresh out of college, unemployed, or considering a mid-career change, you want to land a job in a field that's growing. 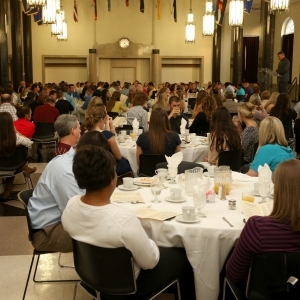 Eastern Kentucky University student-athletes gathered in the Keen Johnson Ballroom on April 10th for the annual Student-Athlete Academic Awards Breakfast. The event, hosted by the Bratzke Center, featured EKU President Doug Whitlock as guest speaker and honored more than 275 student-athletes for academic achievement over the past year. Congratulations to Computer Information Systems students who were nominated by their employers for Outstanding Co-op/Intern of the year. An awards ceremony for all nominees was held on Tuesday, April 9th at 3:30 p.m. in the EKU Charles D. Whitlock Student Services Building Auditorium to recognize their achievement.